For several years, Chopard had been demonstrating its commitment to corporate responsibility, placing it at the very core of its values. A member of the Responsible Jewellery Council (RJC), which plays a leading role in establishing environmental, social and ethical standards, the Maison has created in conjunction with Eco-Age founder, Livia Firth, a programme named The Journey to Sustainable Luxury. First launched in May 2013 at the 66th Cannes Festival, this broad-scale project takes the form of significant projects aimed at fostering the development of sustainable luxury.The Green Carpet Collection see also the light of the day the same year. The Swiss watchmaker-jewellery thereby undertakes to source its materials from suppliers openly justifying responsible practices on both social and environmental levels. 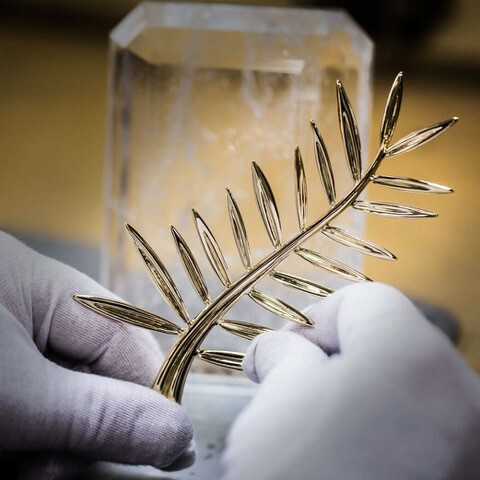 The creation of a Palme in “Fairmined” gold bears further testimony to Chopard’s commitment to sustainable and responsible luxury.